BBAR programs are curated by THEARC Theater to provide arts & cultural experiences which reflect the African and African American diaspora. is one of a kind and recites Frederick Douglass' most famous speeches and answers questions. Come live the history! Please email kdouglas@thearcdc.org to arrange a group visit. Presentations include theatrical, dance, film and music productions celebrating the legacy of the diaspora of African/African American culture. Arts experiences include additional education opportunities for youth groups in attendance to receive lecture demonstrations, specialty crafted workshops, and meet & greets with performers. Past productions: Harriet Tubman: The Chosen One, Lady Day at Emerson’s Bar & Grill and school production Lady Days, Alvin Ailey Dance Company, Dance Theatre of Harlem, Soundtrack of a Revolution, Black Angels Over Tuskegee, Howard University Concert Band, Step Afrika!, and Collage Dance Collective. Presentations include local and national jazz artist live music presentation presented at THEARC Theater targeted for adults and seniors east of the River. Featured artist: Javon Jackson, Rene Marie, The Blackbyrds, Bobbi Humphrey, Snarky Puppy, Take 6, Robert Glasper, The Suffers, SOMI, Distinction Band, Black Alley, Ben Williams, Maimouna Youssef, Frederic Yonnet, Kim Jordan, Lori Williams, Art Sherrod, Jr., Robert Person & The Washington Renaissance Orchestra, Kendall Isadore, Akua Allrich, and CaShandra J. 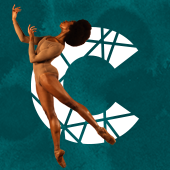 Please visit the event page for Season Programs 2019 performance listings for Black History Month and Double Time Jazz. 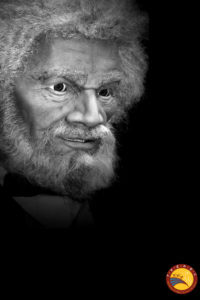 in celebration of the great orator and abolitionist THEARC Black Box is home to the only Frederick Douglass, Animatron, who recites over 20 speeches and answers 60 questions about his life experiences and performs well known speeches during his lifetime. Schedule a performance for your group with kdouglas@thearcdc.org! Collaborative partnership presentations curated through THEARC Theater supporting access to world class community partner productions, arts organizations, special events, artist or companies bringing various arts disciplines to THEARC Theater and Black Box for extended dates. Experience the Season! The Arts are alive at THEARC!